In your life, you discover real magic when you share the stage with a special needs child who knows nothing but love and joy – and who gives you a fist bump with a huge smile on his face. 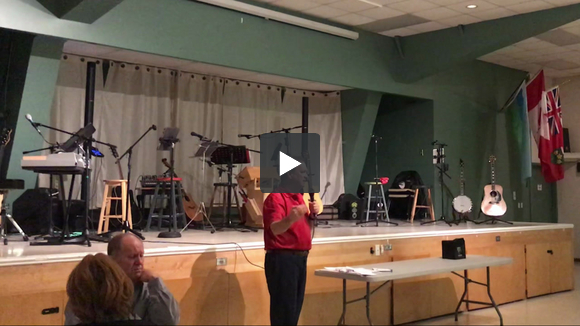 That’s what happened on the weekend, when a 26 year young adult with Down syndrome ran up to join me near the stage while I was offering up a few words at the annual Christmas dinner for Events for Life. Thomas Butler, my good friend with the fist bump, unexpectedly came to join me! It made for a moment in a short talk that I won’t soon forget. Watch it now – and listen to my message! Events for Life is a charitable initiative for special needs young adults in Thornbury, Ontario, near our ski chalet. My wife Christa Carroll is on the Board of Directors; I’m their techie-geek, doing behind the scenes work with their Web site, IT stuff and more. My son Willie Carroll is also fully involved with additional IT support. My other son Tom spends time on the ski hill with both Thomas and the young fellow Michael Simon also mentioned in my talk. We as a family are fully engaged in this initiative; it is teaching us much about the role that we can play in helping those who might be considered to be less fortunate. Thomas is a member at my ski club; I’ve experienced the magic of watching and going with him as he snowplows down the hill in his own unique style. He spent 3 hours with me on the hill one day – that meant a lot to me, since I seemed to have broken through. I’ve learned lots! EFL has had a profound impact on my life, and my understanding of the world around me. If you do anything today, invest some time with some special needs children and adults. They can teach you more about the world than you might ever know. Clients often ask – can you help me with my small meeting? Board of Directors session? Client event? 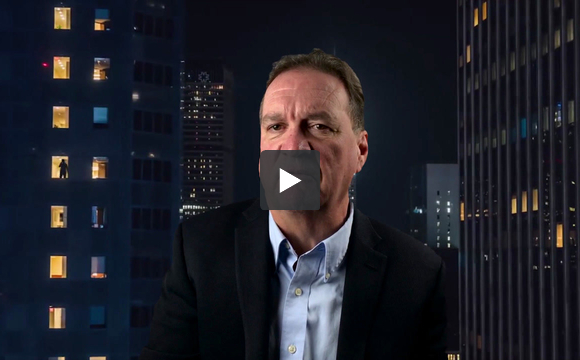 Watch this short 90 second video, in which I describe the 3 types of meetings that I undertake for my clients. Today’s photo is actually from a keynote for an agricultural organization, but the quote in the picture actually started out having to do with the fast pace of change in the automotive sector. The thought came to mind with my morning photo preparation, because I’m currently preparing for a hands-on, interactive session with a Board of Directors, on the future of self-driving cars and more. I could have made this quote back in 2000, in the context of where Tesla Motors is today. I pretty much did when I predicted the emergence of Tesla back in 2003 when I led a leadership team for an event with DaimlerChrylser at Mercedes Benz HQ in Germany. Good point — every industry is subjected to the similar trend of uncertainty. So I tweeted back. “Geesh you are in a bad mood. Cheer yourself up. The type of thinking is real.” I linked to a quote from Tesla Motors on their unique experience with the Model 3. It somewhat parallels my thinking. I really should know better. companies that don’t yet exist: Netflix, AirBNB, Uber are the easy ones. We’re seeing a lot of existing ones disappear. The entire history of business involves companies that come into industries, change it, do something new, and upset the balance. products not yet conceived. Really? CD’s, DVD’s, drones, curved skis…. isn’t the whole human experience about conceiving new products? ideas not yet generated. Um, iPads? Didn’t someone invent the concept of a car? materials not yet invented. Velcro, folks. I actually just did a talk for the senior leadership team of Arconic — a new spinoff of the aluminum giant Alcoa. I can tell you that capitalizing on the rapid emergence of new materials based on advanced science is very much on their mind. Should I tell them that maybe it’s just future-babble? manufacturing methodologies not yet conceived. Additive, 3DPrinted manufacturing? Build to demand manufacturing models? Mass customization? Rapid prototyping and SmartThings? Seems we have had a constant stream of new methodologies and capabilities. I always find it fascinating when curmudgeons jump out and undertake critic-babble. My quotes stand on their own. I don’t see anything the least bit wrong with them. They will become true, over and over and over again. Challenge yourself to align to a future that is not yet invented, but in fact, is being invented all around you. Listen to the future-babble. Watch for all the signs and trends that are changing everything – faster. Refuse complacency. It might make a difference in how you approach things.